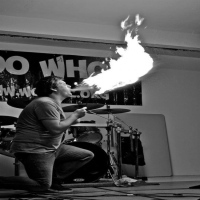 Entertainment makes all the difference at a party, so why not hire the best? 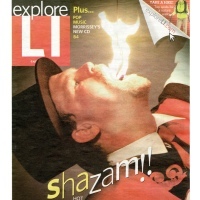 Magicians are not only for kids, in-fact these professional magicians in NY entertain for adult parties! Check out this list and be amazed at the tricks that will take place before your eyes. Feast Your Eyes On The Spectacular Illusions! 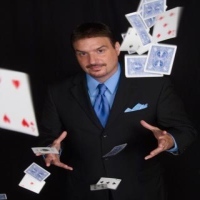 Marco is one of the top professional magicians in New York, backed by his years of experience and his hundreds of happy clientele. Visit his website for more information and to book your next NY event today! Fun Magic With Didi Maxx! 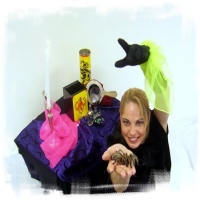 A professional magician and a great entertainer in New York, Didi Maxx has been entertaining kids and adults for the past years with her magic and illusions. An award winning entertainer, she continues to captivate the audience with her fun and entertaining magic. Didi Maxx is definitely the magician to have. So make your special occasion fun and interesting and call Didi Maxx for some amazing magic shows. Amazing Magic With Thomas Hayden! Thomas Hayden provides a cool and spectacular entertainment where guests will be amazed by the illusions and magic. A talented young magician here in New York, Thomas has been performing to thousands of audiences since he became a pro in stage illusion and magic. A definite entertainer to have at every special occasions, Thomas Hayden will not disappoint your guests in having the best time they ever had. So call New York's own Thomas Hayden, a professional magician dedicated to make the audience happy and amazed. Matthew Furman is a professional magician based in New York who has performed for many famous names like Donald Trump, Michael Jordan, Jay Leno, and more. He provides an entertainment where guests will be astounded by the mind boggling tricks and illusions. A master magician that keeps on providing new illusions every time he performs. Have Matthew Furman entertain you and your guests. Book a show with Matthew Furman and let your special occasion be a fun and memorable experience. 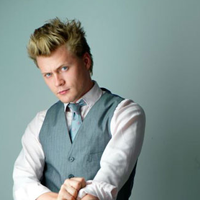 A talented young magician, Max Darwin offers the best magic show that you will ever have. Each illusion and trick offers a sense of wonder where guests will be left at awe. A professional magician based here in New York, Max Darwin provides a lively entertainment that is astonishing and definitely an entertaining show, you will definitely want to see more of his amazing magic. Have Max Darwin entertain your special event, he will definitely provide a show that will leave audiences amazed and captivated by the wonderful illusions and magic. A Fun Magic Show With Mr. Magic! New York's professional magician. Mr. Magic offers to perform amazing illusions where guests will be astonished by the amazing tricks and illusions. A veteran and an expert magician, Mr. Magic provides a show that will leave the audience wondering how did he perform such illusions. Make your special occasion fun and memorable, let Mr. Magic perform for you and enjoy the amazing show. For more information and queries please visit the website. More Than Just An Ordinary Magician! 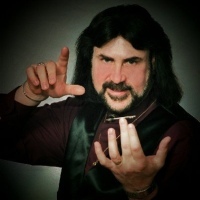 Richard Glenn is a skilled magician who has experience performing to more than a thousand individuals and a professional entertainer and comedian. He offers his service in providing the best show, where guests will come out laughing and at the same time be amazed at the spectacular magic show. 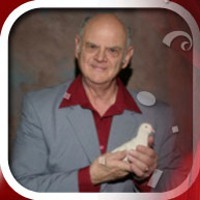 A natural entertainer, Richard Glenn is very well adept to the skills in comedy and entertainment. 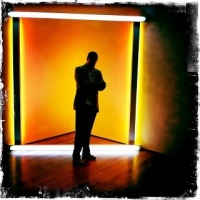 Richard Glenn caters his service to the Tri-state area of New York and the surrounding areas. So enjoy a wonderful show with Richard Glenn and have the best time of your life. Quality Entertainment With Chris Anthony! Looking for a professional magician that offers quality entertainment? Let Chris Anthony help you in making your party a special and memorable occasion. A skilled illusionist and renowned for his work here in New York, Chris Anthony continues to captivate the audience with spectacular magic shows and fun entertainment. 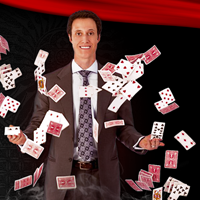 Chris Anthony will keep your guests captivated and amazed with his unique blend of illusion and mystery. Plan your party and have Chris Anthony perform for you at your special occasion, it will definitely be a memorable and an entertaining event. See The Amazing Jim Perry Do His Illusions! 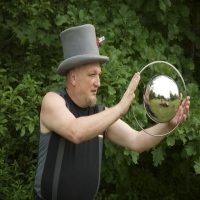 A professional magician dedicated to satisfy the audience with some spectacular illusions and lively entertainment, Jim Perry offers to perform magic shows at your party or any special event. He gives you nothing but an amazing entertainment for guests to enjoy. A renowned illusionist here in New York, Jim Perry captivates his audience with a unique style of magic and hilarious entertainment. Have Jim Perry perform for you at your party, you will definitely be satisfied of the service that he will provide. The entertainment will be so amazing the audience will definitely have a great time.